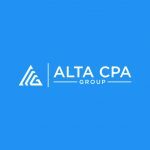 Jeff is the managing member of Alta CPA Group. He has spent the past 20 years specializing in providing attestation and consulting services to nonprofit and governmental organizations. Jeff has worked with a wide range of organizations at both the national and local levels, with budgets ranging from $500,000 to $125 million. His experience includes performing audits and reviews, doing cost allocation studies, conducting operational audits and consultation regarding accounting standards which specifically relate to not-for-profit organizations. Jeff is a graduate of the University of Richmond where he received a Bachelor of Science degree in Accounting. He is a member of the American Institute of Certified Public Accountants and Maryland Association of Certified Public Accountants, where he has served on the Not-for-Profit Committee. Jeff has completed Leadership Anne Arundel’s Flagship program and currently serves as a Director on a number of nonprofit boards.